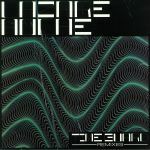 Review: To date we've not been treated to a solo outing from Lazare Hoche - he's most commonly spotted alongside fellow deep house operative Malin Genie, but now he's going it alone with two cuts of assured groovers suited to the hazier hours of a 4/4 throwdown. "Time Guard" is a swooning beauty of a track buoyed by gorgeous synth strings and a nagging groove. 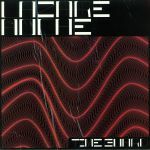 "Maths" is a more forthright, club-focused affair that places all the emphasis on sharp, funked up drum machine beats, but there's still a chill in the air that keeps the track firmly rooted in the deep end. 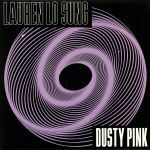 The Lazare Hoche imprint is curating the bomb EP from the upcoming House Queen Lauren Lo Sung ! 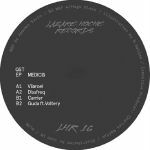 Review: Little is known about Medicis, other than he last appeared back in 2015 on Lazare Hoche alongside Voltery. On this, his second 12", he strikes out on his own for the Parisian deep house stable with some of that refined, head-tweaking groove fodder that has broadly defined the label since it started. "Vilaroel" features shimmering tones that call to mind Point G at his dubbiest, while "Dissfreq" takes a sweeter route into dreamy pads and lightly shuffling drums. "Carrier" is a darker, techier affair with plenty of hypnotic elements spinning in the mix, and then Mdecisi' old friend Voltery lands a hand on the downtempo delights of "Guda".